The motion of diverging tectonic plates is typically constrained by geophysical data from preserved ocean crust. However, constraining plate motions during continental rifting and the breakup process relies on balancing evidence from a diverse range of geological and geophysical observations, often subject to differing interpretations. 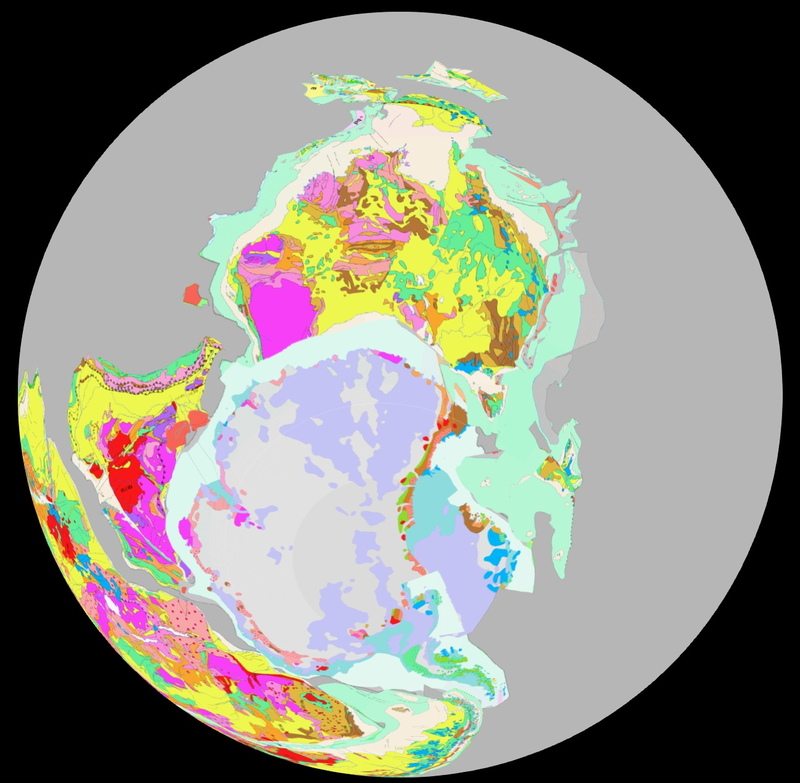 Reconstructing the evolution of rifting and breakup between Australia and Antarctica epitomizes the challenges involved in creating detailed models of Pangea breakup. In this example, differing degrees of emphasis on and alternative interpretations of offshore geophysical data, in particular magnetic anomalies and seismic reflection profiles, and onshore geological data, lead to starkly contrasting views of how the continents were configured at the onset of Mesozoic rifting. Here, we critically review reconstructions of rifting and breakup in the light of all available geological and geophysical data, including magnetic anomalies, fracture zones, conjugate crustal domains, amounts of continental extension, continental geology, plate boundarylocations, break-up ages and stratigraphy. We identify the most viable plate tectonic reconstructions both with and without the input of the oldest, more controversial magnetic anomaly interpretations, and discuss implications for reconstructions of other margin pairs. Our analysis highlights key discrepancies between reconstructions based solely on geological piercing points, and those based on a range of constraints. These insights provide a powerful framework for reducing the range of viable models for Australian-Antarctic rifting, and provide key lessons for future efforts aimed at constraining pre- and syn-rift plate tectonic reconstructions. Citation: Williams, S.E., Whittaker, J.M., Halpin, J.A., Müller, R.D., 2018, Australian-Antarctic break up and seafloor spreading: balancing geological and geophysical constraints, Earth Science Reviews, in press, online since 15/10/2018, https://doi.org/10.1016/j.earscirev.2018.10.011.